PORT HARCOURT – MONDAY’S verdict of the Supreme Court on the crisis rocking the Rivers State All Progressives Congress, APC, was greeted with conflict of interpretations by warring Transport Minister, Rotimi Amaechi’s faction againt the camp loyal to Sen Magnus Abe. 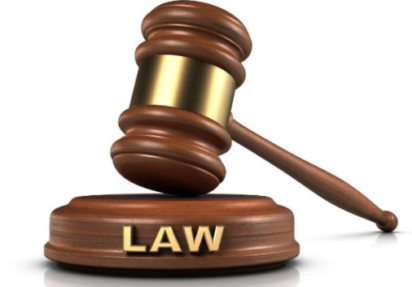 The Supreme Court in the ruling yesterday had set aside the decision of the Court of Appeal, Port Harcourt Division, which permitted the conduct of congresses by the All Progressives Congress (APC) in Rivers. The order of the Appeal Court issued on June 21, 2018 against the ruling of a Rivers State High Court was voided by the apex court on the grounds that the appellate court acted in bad faith. While Sen Abe yesterday said that judgement meant the Ojukaye Flag Amachree’a faction loyal to Amaechi has fallen into a pit from which it can’t be rescued, Amachree in his own faction’s interpretation stressed that the Supreme Court has not set aside his chairmanship of the Rivers APC and the Congresses it had conducted. Abe in Port Harcourt, said, “This judgement is historic and affirmed the position a High Court in Rivers state that the action of the party in excluding members of the party from the processes of the congresses and depriving them their constitutional right was wrong. And to do so in the face of a clear order of a court of competent jurisdiction was nothing but clear stupidity. “And so for anybody to parade himself either as a candidate of the party arising from a processes that has clearly being voided by the court is nothing but political rascality. And I think it is time for right thinking members of this party to put this whole thing to an end and put the party in a proper place for the realisation of taking over Rivers state. “Luckily, the party conducted proper Congresses here in Rivers in the form of direct primaries. Since the other primaries was conducted in clear violation of a court order, the proper thing to do l think is for the party to adopt the results of the proper, direct primaries conducted. “The defect in the constitution of the defunct Ojukaye Flag Amachree State Executives and the primaries they conducted is not curable. It cannot even be cured by the judgement of a court of appeal. “This is because as at the date or point those congresses were held there was a valid court order subsisting at that time that said they could not don’t that. They went ahead in violation of that order. So even if you set aside the judgement today, it does not change the fact that it was valid at the time you violated it. “So it cannot be cured by anything. They have fallen into a pit for which nothing can rescue them. It is a defect that cannot be made good. It is time for people to stop fooling the Rivers people, and stop fooling the country. In his own interpretation, the Ojukaye led executives of the Amaechi’s faction said, “The appeal filed at the Supreme Court by Ibrahim Umar & 22 ors of which the ruling was given today, 3 issues were canvassed before the Supreme Court one of which was that the Appeal Court did not act correctly by granting a stay of execution on the interlocutory orders of the State High Court. “The Supreme Court only granted the appeal in parts and did not make any consequential orders as that can only be subject matter at the Appeal Court when the appeal hearing of the State High Court judgment commences. “The Supreme Court allowed the appellant appeal which was against the stay of Order of Injunction of 11/05/2018.The Court said the said order should not have been stayed. The Supreme Court made no orders except to set aside the Court of Appeal order.